For some added traditional style in your bathroom, choose this beautiful vanity. With a white marble counter and brown solid wood base, this piece is very stylish. Put a nice touch on your bathroom's look with this vanity set from Wyndham Collection. 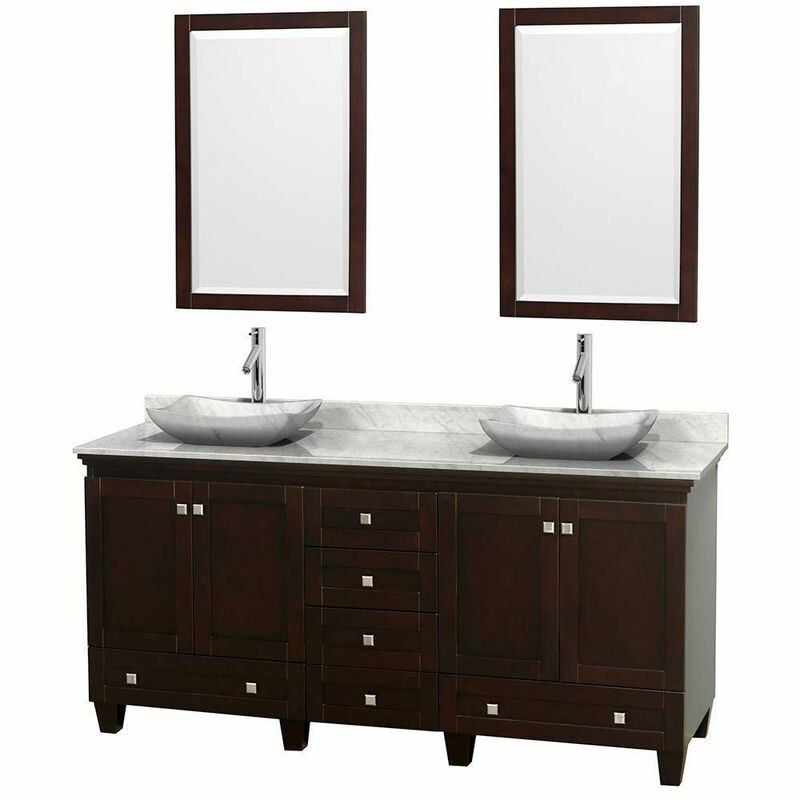 Artfully crafted, our Brentstone vanity ensemble provides a traditional design with plenty of interior storage. Solid wood construction and easy to install. Acclaim 72-inch W 6-Drawer 4-Door Vanity in Brown With Marble Top in White, 2 Basins With Mirror For some added traditional style in your bathroom, choose this beautiful vanity. With a white marble counter and brown solid wood base, this piece is very stylish. Put a nice touch on your bathroom's look with this vanity set from Wyndham Collection.